The headline is actually “Post Office Might Miss Retirees’ Payment” but the click-on-me teaser at the WSJ reads Post Office Nears Its First Default. The use of the word “first” not very subtly implies that there will be more. And there will be. Indeed, saying that the USPS “might” miss the $5.5B payment due in ten days is a bit too polite. They do not have the money and Congress has made it clear they will not act before the August recess. And there is a second $5.5B payment due at the end of September. Which is not to say that missing these payments will cause much in the way of visible effect. They are, essentially, to make up an underfunding in the Postal Service’s pension plan. Skipping them may have serious long-term consequences, but for now the USPS can still buy diesel for its trucks and make payroll. For now. Is the USPS Going Out of Business? Imagine a business losing $1B a month. Its brand name is well known by consumers, but associated with bureaucratic inertia and occasional acts of workplace homicide. Management has a scheme to massively cut costs and modestly raise prices that, with luck, may return the company to break even five years from now. Would you like to own a share of this outfit? Too late. You already do. 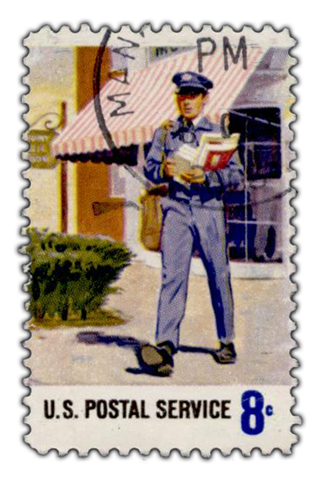 The inevitable, if not imminent, demise of the US Postal Service is one of the recurring themes here at BMA. Aside from affording me the opportunity to poke fun at Washington, and make predictions that are safely in far off in the future, I keep returning to the topic because it is an example of one of the core ideas of this blog, that vague and wishful thinking is no match for the reality of dollars and cents. The Post Office is in serious trouble. If it were a normal corporation with private creditors it would almost certainly be in Chapter 11 by now. Deficits are large and getting larger. The top line is shrinking quickly. Mail volumes are down 23% since 2007. And that decline is part of a long term trend, not some short-term effect of the Great Recession. Overall volumes peaked in 2006, but first class mail, which is is the real money maker for the USPS, peaked in 1999. Time to follow up on a few topics I have written about in the past and mention a few more tidbits not worthy of entire posts. On Friday, the Consumer Product Safety Commission recalled another half million electrical DIY books to add to the million or so recalled from the same publisher in January. Some of the books were originally published in the 1950s. No explanation of why this batch was overlooked nine months ago. Also still no word on what, exactly, is wrong with them. I had some fun with this in January, but darker thoughts are now creeping into my head. Is it just me, or is anybody else uncomfortable with the idea of a government agency recalling “dangerous” books? In March I wrote a post explaining how and why the US Postal Service had begun to slowly circle the drain. It had the impact on policy makers that my more clever posts usually do, which is to say none at all. So here I am trying again. When revenues are growing, all is well. Incremental income is mostly profit, since the overhead has been paid for. But when the trend is in the other direction, an irreversible death spiral often results. Yesterday the US Postal Service put out a press release Postal Service Outlines 10-Year Plan to Address Declining Revenue, Volume: Seeks Flexibility on Operations, Delivery; Possible 2011 Price Increase. For fans of the good old USPS (there must be a few out there) it is grim reading. Mail volume is projected to decrease from 177 billion items in 2009 to just 150 billion by 2020. On its present course, the USPS is projected to lose a total of $238 billion over the next decade, a number that makes the shortfalls in Detroit seem relatively manageable. The AP story on this was headlined Postal Service’s emerging model: Never on Saturday. The media seems to believe that delivery six days a week is a hot button of some kind. Personally, I don’t care very much. Deliver my mail three days a week if you like. Last year Gallup found 66% of Americans favor dropping Saturday to save money.